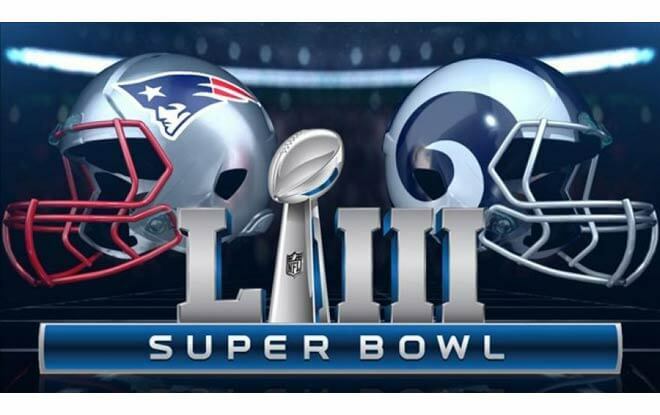 Home - Betting News - Why Rams Super Bowl Line Change in Favor of Patriots? Why Rams Super Bowl Line Change in Favor of Patriots? Whether by accident or design – probably the former – sport betting sites started out favoring the Rams over the Pats for the Super Bowl LIII. Andy Warhol said everybody would get 15 minutes of fame. The Los Angeles Rams have enjoyed their 15 seconds of favoritism. Perhaps the intelligentsia at the best online sportsbooks realized one thing. And that’s that the referees are not very likely to turn another blind eye to the Rams’ shenanigans. Shenanigans, I say! Maybe the officials had money on the NFC team and wanted to make sure Drew Brees played in the Pro Bowl. All things considered, even if it came to cheating, that would be no problem. Because no one outcheats Tom Brady. He is the Eddie Guerrero of professional football. As one can plainly see, sport betting sites favor the New England Patriots by two points. The Pats were, as ever, a polarizing team this season. And it’s all very subjective, as a matter of fact. Some people are going to hate them no matter how good they are. In fact, people are going to hate them especially if they are very good. And others are going to love them no matter how bad they are. The thing is, they are never either that bad or that good. But they are always at least good enough. It’s been said many times before by many a talking head. However, it bears repetition. As long as Bill Belichick head coaches and Tom Brady quarterbacks, the Pats will be favorites. Regardless of whether sport betting sites favor them. So much so that rumors have to be made up about “tensions” between the two. Were the Patriots not up to their own standards this regular season? They clinched a record-setting 10th straight NFC East title and received a first round bye in the playoffs. I would have hated to see what would have happened if they had decided to outdo themselves. Actually, I would have loved it. The Pats may have been slow out the gate, but that was regular season football. Right now, they are playing postseason football. Right now, they are playing big boy football. And it all started with a Week 15 loss to eternal rivals the Pittsburgh Steelers. That was the turning point. What alcoholics refer to as a moment of clarity. “It was like, ‘We’re running out of time,’” safety Devin McCourty said. “We’ve found a way to play our best the last four games,” Brady added. “Buffalo, Jets, had the bye, played great against the Chargers, played really well [against the Kansas City Chiefs]. We’re going to need one more great game.” And it is surely going to be a great game. Of course, it could have been a greater game. Had the New Orleans Saints not been screwed out of a Super Bowl berth by the zebras. In which case the Patriots would have been the underdogs. Maybe even justifiably so. As it turns out, though, we’re not getting a Super Bowl. We’re getting a Lesser Bowl. And that’s why New England is the favorite to win and cover the point spread. Sure, the line has changed once and could change back. Indeed, it could change back and forth many times in the interim. What doesn’t change is the fact that Tom Brady’s New England Patriots are the team to beat.